If you carry a number of different SIMs or microSD cards for different action cameras, smartphones, tablets or anything else you may be interested in a new ultraslim Micro SD card organiser which has been created by Solidfirst. 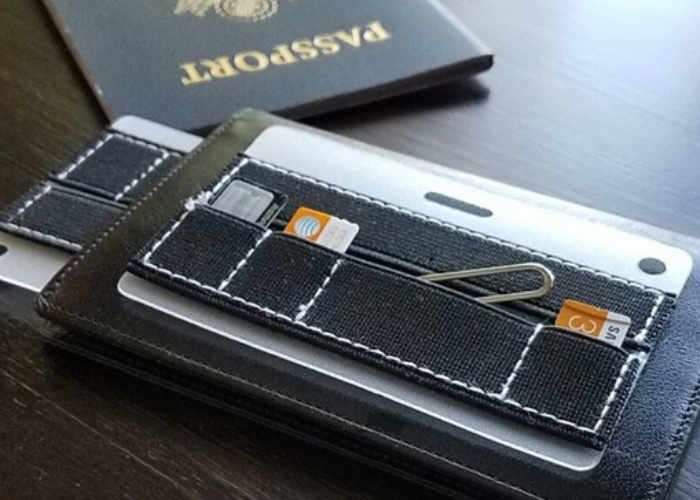 The super thin organiser has been designed for travellers, photographers and is small enough to slip into your wallet or even a smartphone case. Watch the video below to learn more about CardGear. Nowadays, we all carry little gadgets wherever we go. We have so much information and photos to store in our phones, computers, and cameras. Most of us like to carry extra SD cards to increase the memory. For travelers, we also carry an extra or two SIM cards to the countries that we like to go. The problem is we just don’t have a right place to store these tiny cards. If we throw them into a wallet, we will run into the risk of losing them whenever we open the wallet. If we put them in a bag, they become so bulky. This is why we invented CardGear. It is the minimalist way to carry and organize extra SD and sim cards. A perfect companion for travelers and photographers. CardGear Is now available to back via Kickstarter with pledges starting from just $3 for earlybird backers with worldwide shipping available.